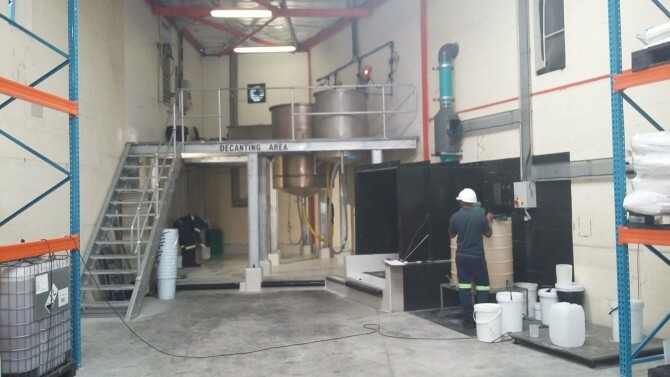 A2V assisted Sopura in upgrading their new premises to a custom designed chemicals manufacturing facility as a turnkey project. A platform supporting mixing tanks for batch mixing of various chemicals. An epoxy lined bund to contain any corrosive chemical spills from the manufacturing process. An effluent plant for pre-treating effluent prior to disposal to the municipal sewer.